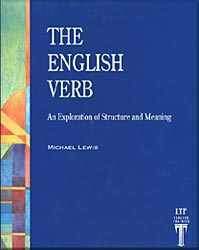 THE ENGLISH VERB is an exploration for teachers of the structure and meaning of the central verb system of English. Much that has been written about the grammar of English is detailed and can often seem confusing to the new teacher. Michael Lewis looks beyond the details and finds powerful general truths which help the teacher see English grammar as a coherent system.